Camillus BEAST 9.75″ Folding Knife features G10 Handle and VG10 Japanese Steel. VG10 is considered a ‘super steel’, because it is designed to maintain sharpness and durability. Camillus BEAST 9.75″ Folding Knife features G10 Handle and VG10 Japanese Steel. VG10 is considered a ‘super steel’, because it is designed to maintain sharpness and durability. 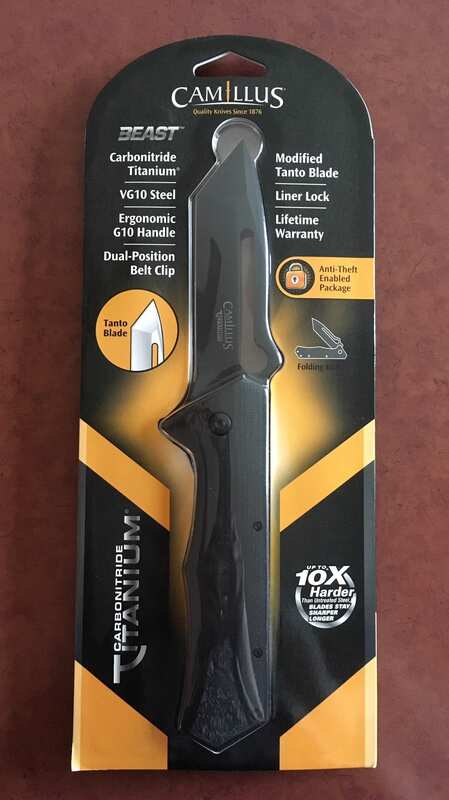 The steel is bonded with Carbonitride Titanium that resists rust and corrosion and is up to 10x harder than untreated steel so the blade stays sharper, longer. 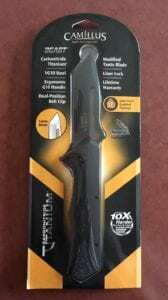 3.75″ Tanto blade. Lifetime Warranty. Thanks Camillus for the contribution!